He was born on 17 February 1951. He was commissioned as a pilot in the Pakistan Air Force in 1971. 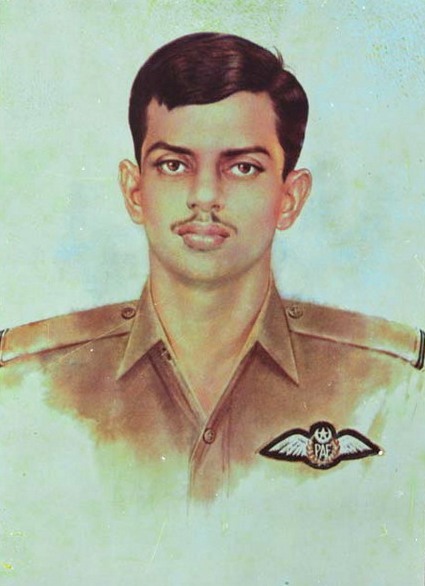 Pilot Officer Rashid Minhas was taxiing for take off on a routine training flight when an Instructor Pilot forced his way into the rear cockpit, seized control of the aircraft and took off. When Rashid Minhas realised that the absconding pilot was heading towards India, he tried to regain control of the plane but was unable to do so. Knowing that it meant certain death, he damaged the controls and forced the aircraft to crash thirty-two miles short of the border on 20 August 1971.